Belgian soldiers shot and killed a suspected "terrorist" bomber after an explosion rocked a central Brussels train station Tuesday in the latest attack to hit Europe. Witnesses said the suspect shouted "Allahu Akbar" (God is Greatest) before setting off the blast, which triggered a small but intense ball of flames in the station hall. Crying rail passengers fled the station after the explosion, with memories still fresh of last year's metro and airport suicide attacks in the city that hosts the EU's headquarters. 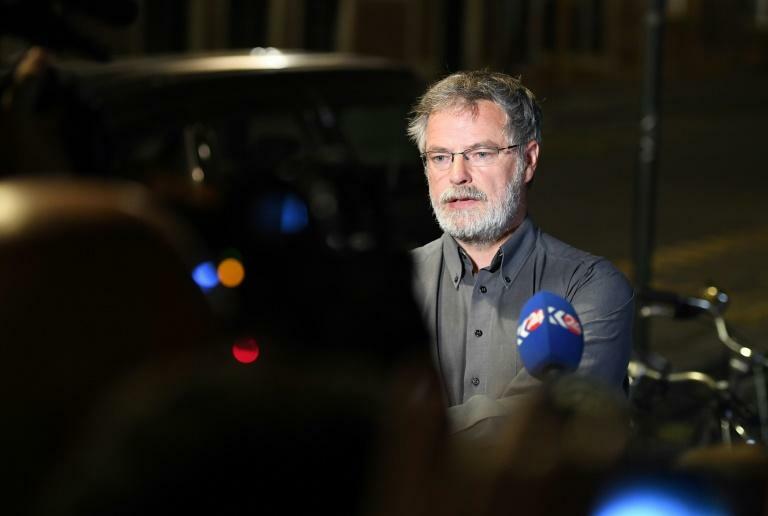 "This is considered as a terrorist attack," federal prosecutor's office spokesman Eric Van Der Sypt told a news conference outside the station. 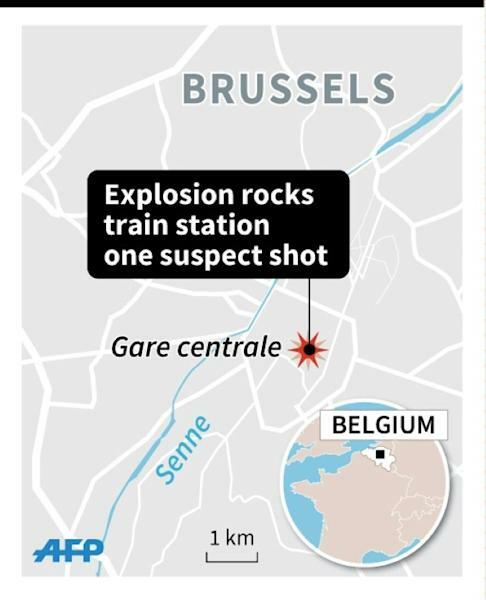 Van Der Sypt said that at about 1830 GMT there was a "small explosion at Central Station here in Brussels." "The suspect has been neutralised by the military that were present at the scene immediately after the explosion," he said. The incident happened well after rush hour, but hundreds of passengers were still evacuated from one of Belgium's busiest stations. The nearby Grand Place, a major tourist destination, was also cleared. "There were people crying, there were people shouting," said Elisa Roux, a spokeswoman for the Belgian rail company SNCB. "There was a movement of panic." Hours after the incident the suspect's body remained at the scene of confrontation as bomb squads searched the area. An AFP journalist reported that a controlled explosion was heard several hours after the attack. "I went down to the mezzanine level, someone was shouting. Then he yelled 'Allahu Akbar', and he blew up a wheeled suitcase," Nicolas Van Herringer, a railway sorting agent, told reporters. "I was behind a wall when it exploded. I went down and alerted my colleagues to evacuate everyone. He (the suspect) was still around but after that we didn't see him." Van Herrewegen added: "It wasn't exactly a big explosion but the impact was pretty big. People were running away." "I saw that he had something on him because I could see wires emerging, so it may have been a suicide vest," Van Herrewegen said. About an hour after the events, the situation was "under control", the federal crisis centre said in a tweet. It said it was keeping the country's terror alert at level 3, the second highest. "The centre of Brussels is calm," mayor Philippe Close said in a tweet. 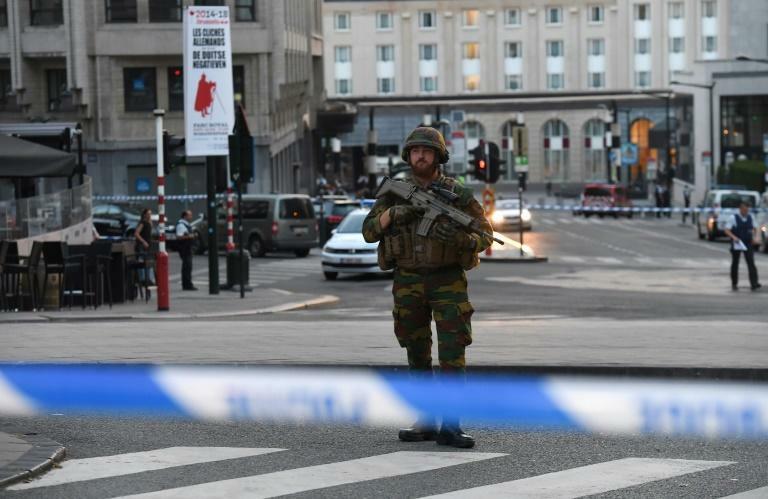 Belgian Prime Minister Charles Michel hailed the "courage" of security forces and said he would chair a security council meeting on Wednesday morning. Belgium suffered another shock last August when a machete-wielding man shouting "Allahu akbar" attacked two policewomen in the industrial town of Charleroi, before being shot dead. The country's law enforcement agencies and intelligence services came under intense scrutiny for apparently missing a series of leads after the Paris attacks that could have led to the Brussels bombers.